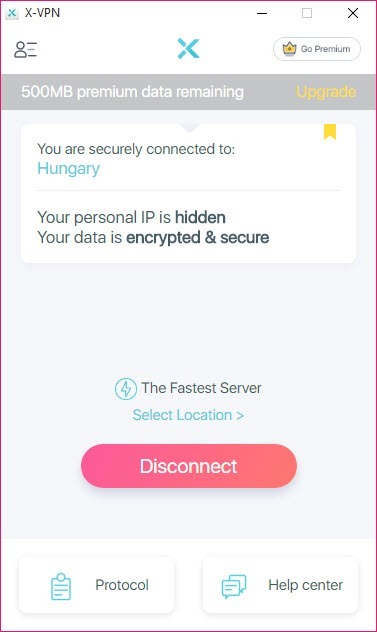 X-VPN is an application that will ensure your anonymity while browsing different websites. You can easily protect your sensitive private and personal information. You can secure your PC internet connection with 256-bit encryption, and you can even make use of the bank-grade multi-layered encryption that this tool offers you. You can make use of up to 8 types of security tunnels, and it is an excellent tool for also unblocking streaming and social networking apps and sites at your office, and even abroad or at school. 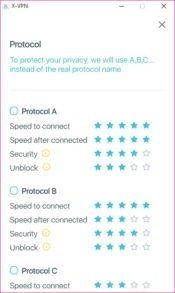 The protocols help you bypass firewalls and filters and thanks to this one it is possible to unblock Spotify, Netflix and also YouTube. Gaining access to Facebook, Snapchat and Twitter are also possible with this tool. Anonymous surfing is guaranteed because of the eight protocols that disguise your internet traffic, and another thing is that you don`t need an account to use this tool because it works right away without any. Masking what you are visiting is possible with this tool, so no one notices what you are doing online. 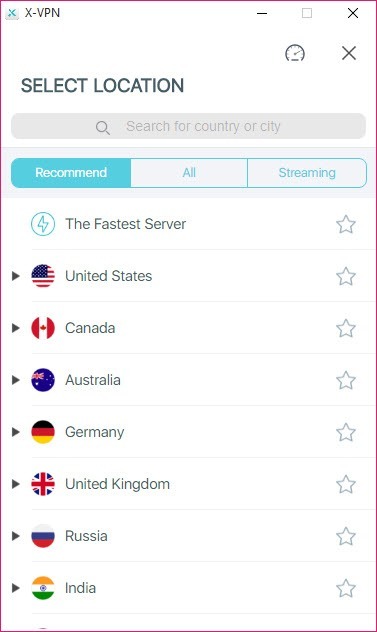 You can set your virtual location anywhere on the globe because this tool is offering you more than 5000 servers from around the world to choose from. 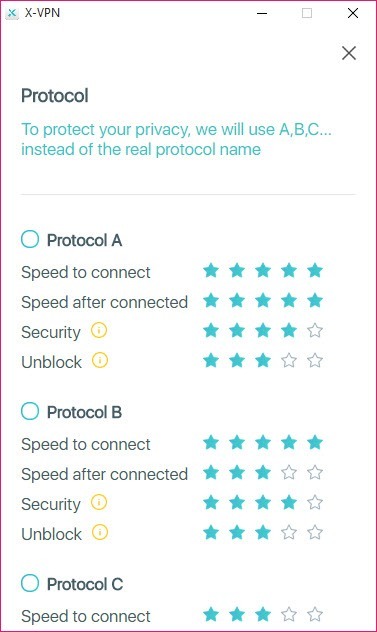 Replacing your IP address with a public one is possible by using it. 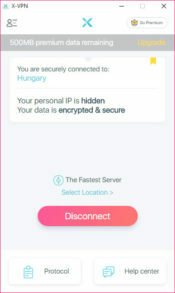 Your connection is stable, and X-VPN has unlimited bandwidth for all users. 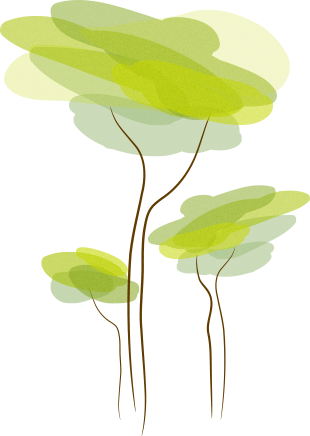 It only takes about 3 seconds to connect to this tool, and in case you have an issue you can contact the support which helps you with your problems. 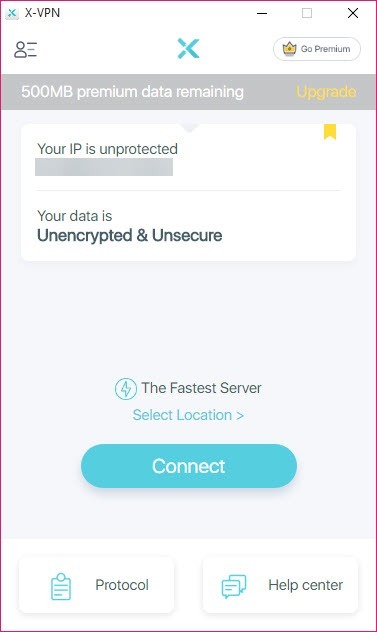 You can join safely any public WiFi networks with this tool because your info is going to be secured.